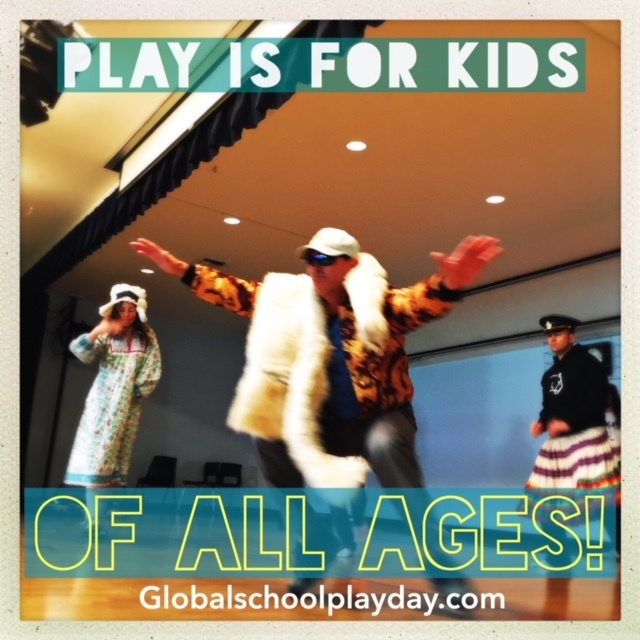 From waterslides in New Zealand to snowdrifts in New York, the fourth annual Global School Play Day wove a neural network of joyful celebration and connection between humans of all ages. Everyone (or almost everyone) wants to be an innovator in education, but often educational “change” or “growth” means adding something on top of already existing practices. What about the radical idea of asserting minimalism from time to time – backing away from “instruction” and giving children (and, ahem, adults) permission to have a day of free exploration? As the sun rose on the East on February 7, 2018, children began filling in this open space with their own agendas and practiced their own pedagogies. Adults stepped aside (or joined in) and captured some images to share. A beautiful poetry in hearing the first whispers (and shouts) of #GSPD2018 coming from the Korean Peninsula, which recently has been the epicenter of so much political tension. Hey – why don’t we have the children take over other aspects to how our world works!?! We like where this math is headed. The cost of play is FREE – so on February 6, 2019, we’re hoping for an exponential explosion of creative expression through play to the tune of MILLIONS. Remember: children aged 14 to 17.9999 are still children. They need to play too. Adults complain about kids on screens all the time – so, high school colleagues, please let your kids do so! Then circle up with them for games and snacks. They’ll remember it in 20 years when they send their own kids to school. Posted in Global School Play Day, School Culture, TeachingTagged #GSPD, #GSPD2018, education, Learning, Play, schoolBookmark the permalink.